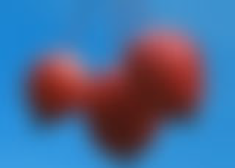 The Gaussian Blur ﬁlter implements a popular blur algorithm that produces smoother blurs but takes more time to render than the Basic Blur ﬁlter. 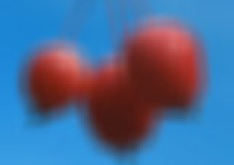 Gaussian Blur softens the image by averaging each pixel with its neighboring pixels. The word “Gaussian” refers to the bell- shaped curve commonly used in statistical analysis. The shape of this curve determines how much each averaged pixel contributes to the output. If the source image is opaque, selecting the Opaque Source checkbox can speed rendering and preview times. If your source is partially transparent, deselect this option for best results. Horizontal Blur and Vertical Blur control the amount of blur in each direction. If Lock Blur is selected, Horizontal Blur sets the blur amount in both directions. Spread adjusts the blur computation to create multiple image effects. At the default setting of 0, the input image at each pixel contributes the most “weight” to the output for that pixel. Increasing Spread modiﬁes the computation to give more weight to points away from the center and less weight to points close to the center. This produces a double vision effect. Maximum Deviation sets the maximum deviation (based on 8 bit color) allowed for any channel. Reducing this value limits the amount a color can change. This becomes more noticeable at values below 30. Very small values of Maximum Deviation can be useful (especially combined with the PixelChooser) to reduce noise in video and digital stills. The Avoid Clipping checkbox allows you to render outside the source image. This will cause the edges of an opaque image that is the full size of the project to become partly transparent (just as some hosts such as After Effects’ built-in blurs do). If this box is selected, the ﬁlter always uses Better Alpha Blending. The Blur Quality menu controls the quality of the blur. Pyramid is the fastest option and is generally adequate. It produces a blur similar in quality to the Pyramid Blur ﬁlter. Pyramid Smoother produces a better quality pyramid blur and increases rendering times slightly. The remaining choices, Gaussian Low, Gaussian Medium, Gaussian High, Gaussian Higher, and Gaussian Highest produce gaussian blurs of increasing quality. These options increase rendering times proportionately. Iterations determines the number of times the blur is applied to the image. Increasing Iterations produces smoother blurs but increases render and preview time. The Apply Mode menu controls how the ﬁltered image is composited with the source image. For descriptions of all the possible Apply Modes, Click Here. Apply Mix controls the mix of the speciﬁed Apply Mode with the Normal apply mode. If the Apply Mode is Normal, Apply Mix has no effect. If Apply Mix is 0, Apply Mode has no effect. Increase Apply Mix to blend the Apply Mode setting with the Normal apply mode. The Channels menu speciﬁes which channels are blurred. You can blur all four channels (RGBA), just the RGB channels, just the Alpha channel, or any combination of the Red, Green, and Blue channels. Mix with Original blends the source and ﬁltered images. Use this parameter to animate from the unﬁltered to the ﬁltered image without adjusting other settings, or to reduce the affect of the ﬁlter by mixing it with the source image. If you are using the controls in the PixelChooser parameter group, the Apply PixelChooser menu determines when the PixelChooser controls are applied to the blurred image. Choose Post-Effect for the PixelChooser to affect the image before the blur is applied. 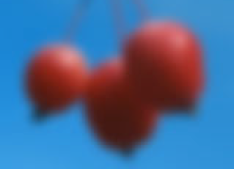 Choose Pre-Effect for the PixelChooser to affect the image after the blur is applied. Choose Both for the PixelChooser to affect the image both before and after the blur is applied.